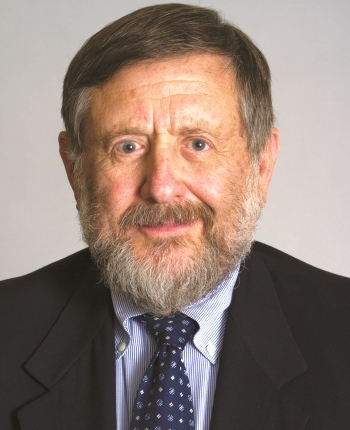 Kenneth S. Wolf ("Ken") is a sole practitioner and Of Counsel to the firm of Hoffman, Sabban & Watenmaker, APC. For the past four decades, Ken has practiced almost exclusively in the areas of estate planning, probate and trust law with an emphasis in litigation and dispute resolution. Known for his excellent reputation among members of the probate bar, Ken mediates probate, trust and fiduciary matters with a settlement rate in excess of 95%. Ken has been listed in "Best Lawyers in America" annually since 2003 and recognized as a Los Angeles County "Super Lawyer" since 2004 in both Estate Planning and Trust Litigation. Fellow, American College of Trust and Estate Counsel, elected in 1983. Member, Executive Committee of the Trust and Estates Section of the California State Bar, 2000-2006. Speaker, California State Bar Litigation Section's 2006 Annual Symposium, on the topic of "Winning Mediation Without Stubbing Your Toe: Ethics in Mediation." Ken is a proactive, evaluative mediator who understands both the legal and emotional components of probate and trust law. He has become an accomplished neutral, successfully mediating more than 100 cases over the past 10 years. He has also participated in numerous mediations as counsel during his career with an exceptional rate of success. Ken is a certified specialist in Estate Planning, Trust and Probate Law under the State Bar of California Board of Specialization and is a Fellow of the American College of Trust and Estate Counsel. He has been appointed as a special master on probate-related matters and has testified as an expert witness in cases involving probate and trusts. In 1974, Ken was one of the founders of the University of Southern California Trust and Estate Conference held annually in conjunction with the prestigious Gould School of Law. He has served as the conference Chair since 1993. Mr. Wolf is available throughout California.